Is there an option for hands free trunk opening, not with remote, with your foot kick motion and trunk opens up? I agree with that as well. I just know it irks the "true" AMG 63 people. I was prepared to despise the panamerica grille, but now that I see it and upon reflection, the approach seems a better integrated design than the standard crossbars. Last edited by Shrdlu; 02-26-2019 at 08:20 PM. [QUOTE=GregW / Oregon;7691721]That is much quicker than expected! Wonder how long until US orders open up? You going to cancel your current order, Ron.s? Good question Greg. I need to know more about how long for availability of the “53”, how it’s configured and really need to drive the 450. Odds are I’ll stick with my order and get the 53 in 2-3 years, if at all. It’s nice that the 53 is finally seeing daylight. How many here will cancel 450 order and go for 53 ? Do we know at what price range will 53 start? Last edited by Shrdlu; 02-26-2019 at 08:44 PM. I gotta say, kudos for Mercedes for the excellent redesign of the GLE and using the best quality stuff and sticking with Michelin tires on most of their cars now. They are way better in every aspect compared to Continentals and Pirellis. Pricing might be a long way off but my guess would be at least 12k and since it has E-ABC standard more likely 15k+ More than a similar GLE 450.
i‘m a little surprised that it’s only .3 seconds faster. That doesn’t make sense...I meant a similar non-E-ABC! Last edited by Ron.s; 02-26-2019 at 09:05 PM. I am surprise it’s only .3~.4 quicker also. I am not sure if I am reading this right. E -ABC on the 450 there are no sway bars. From the 53 press release it seems like there is some sort of sway bar device and AMG soring. So maybe 53 is just using air Suspension with active curve control like GLS ? Last edited by tery; 02-26-2019 at 09:18 PM. So maybe 53 is just using air Suspension with active curve control like GLS ? That's the way I read it. The release doesn't mention the "look ahead" feature of the E-ABC suspension. Can the 450 be ordered with the amg exterior but not the interior? It doesn't say on the order guide that it's required. I may be redoing my order. i‘m a little surprised that it’s only .3 seconds faster. That doesn’t make sense...I meant a similar non-E-ABC! Yes, certainly. AMG Line Interior does limit options. Correct. See my other post. I am not sure if I am reading this right. E -ABC on the 450 there are no sway bars. 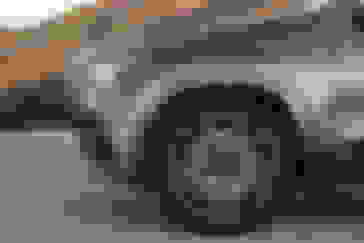 From the 53 press release it seems like there is some sort of sway bar device and AMG soring. So maybe 53 is just using air Suspension with active curve control like GLS ? Per my other post, this sounds like Active Curve, which I have on my '12 ML and is available on the '19 GLE 400. 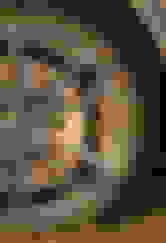 Last edited by GregW / Oregon; 02-26-2019 at 10:19 PM. 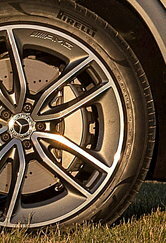 On another topic, I'm not crazy about these new AMG wheels. Anyone else agree? Kind of odd looking. 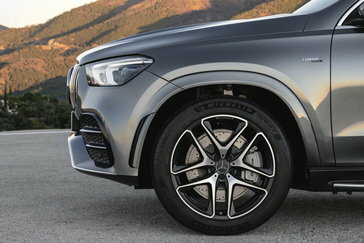 MB must be saving the 22" wheels seen at the Paris Auto Show for the AMG GLE 63. I agree. Like the RWAs or the Euro 22s better. And you've probably figured out the reason. Yes, HANDS-FREE ACCESS is standard on all GLE's meaning you can swipe your foot under the rear bumper and the hatch will open, provided you have the FOB in your pocket. I tested it on the GLE 450 I test drove two days ago. There are a lot of News Feeds on the net now for the 53. Here’s a semi worthless video. I, too, had a 12 ML with Active Curve, though it was a diesel. I would rather have an updated Active Curve suspension than some fancy schmancy E-ABC.